GENEVA, Switzerland - Feb. 26, 2018 - PRLog -- Entry submissions for the 2018 International Hospital Federation (IHF) Awards is now open. Hospitals and healthcare organizations that have innovations, outstanding achievements and best practices can enter their projects and programs in one of four categories. Submitting an entry is the first step in an extensive process to determine this year's award winners, who will be recognized at the Awards Ceremony during the 2018 IHF World Hospital Congress in Brisbane, Australia in October. The IHF/EOH Excellence Award for Leadership and Management in Healthcare recognizes outstanding projects that are enhancing governance, leadership, management policies and practices, fostering a new culture of service, effectively managing finance and resources, and major breakthroughs in productivity improvements or innovations in healthcare delivery or process management. The Excellence Award for Quality & Safety and Patient-centered Care recognizes exceptional programs that promote quality and safety, enhances patient education, engagement and empowerment, and promote ethical approaches and evidence-based practices. The IHF/Bionexo Excellence Award for Corporate Social Responsibility is for projects that demonstrate excellence in providing quality healthcare services at affordable costs, promoting volunteer contribution to community care, promoting sustainable environment, energy and green initiatives, reducing inequalities in healthcare service delivery to the community and advancing healthcare for emerging and developing nations. The IHF/Dr Kwang Tae Kim Grand Award is open only to IHF Full and Associate Members. This Award honors excellence and achievements at health system or facility level in multiple areas including quality and patient safety, corporate social responsibility, innovations in service delivery at affordable costs, and healthcare leadership and management practices. Winning an IHF Award is a prestigious accolade in the healthcare industry and all public and private healthcare service providers are encouraged to join. Entries can be submitted online through the IHF Awards website. Deadline of entries is on 13 April 2018. Established in 1929, the IHF is an international not for profit, non-governmental membership organization. Its members are worldwide hospitals and healthcare organizations having a distinct relationship with the provision of healthcare. IHF provides them with a platform for the exchange of knowledge and strategic experience as well as opportunities for international collaborations with different actors in the health sector. 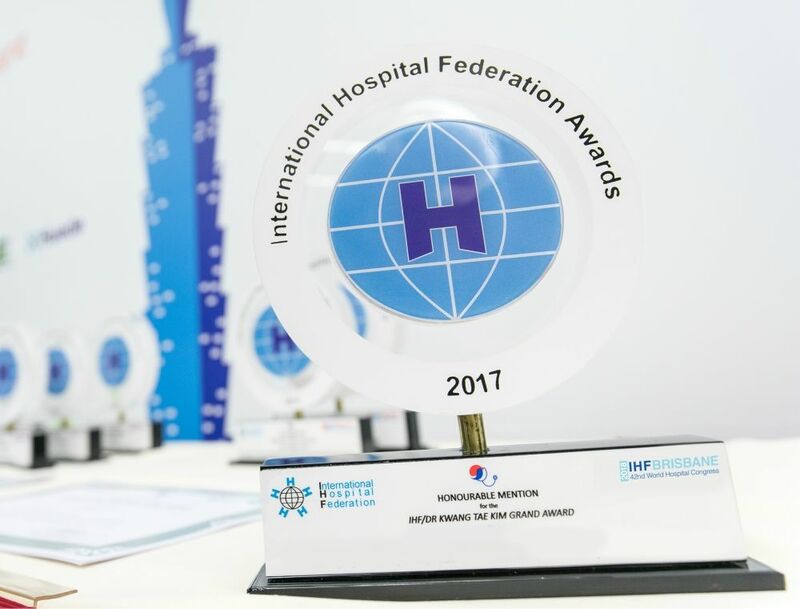 IHF recognizes the essential role of hospitals and health care organizations in providing health care, supporting health services and offering education. Its role is to help international hospitals work towards improving the level of the services they deliver to the population with the primary goal of improving the health of society.